Tea from Aideobarie garden from Jorhat district in Upper Assam, has evoked a good response in China. Aideobarie garden tea has managed to get orders from foreign countries at Emei Tea Expo. 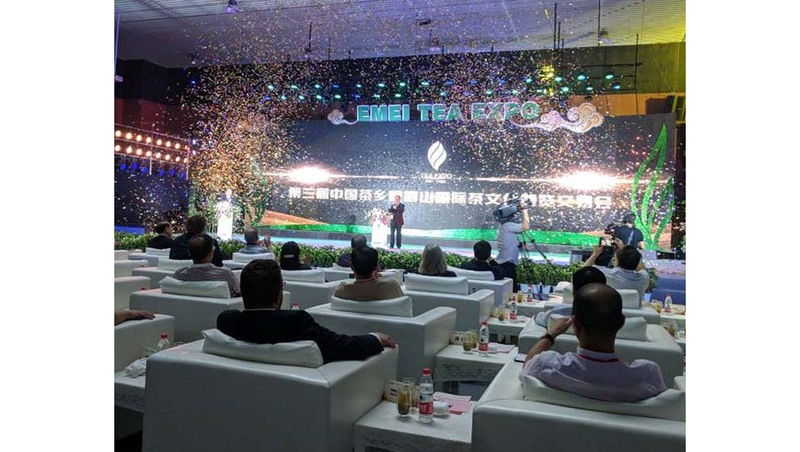 Emei Tea Expo is held at the Emie Shan city in Lechan County in Sichuan province of China. Aideobarie garden sells tea under the Rujani brand which is the only participant from India at the expo. Rujani Tea is an online tea store of Aideobarie tea garden. Altogether 276 tea brands and manufacturing companies, mainly from China and 36 international tea companies, are participating in the expo, which started on Friday and will conclude till Monday. Altogether 26 varieties of tea are on display. Some of them are White Tea, Baimudan Bliss and Sliver Needle. At the expo, enquiries from many Chinese tea buyers were made for their CTC tea, which is now popular among Chinese youth who see the traditional Chinese tea drinking ways as not fashionable and like a grandpa beverage. Milk tea and chai lattes are the urban youth’s new drink. Sri Lankan brands have already got a foothold in this country but Indian teas have a great potential as well, reports The Telegraph. Rujani Tea‘s newly developed online platform will soon collaborate with some international tea aggregators.